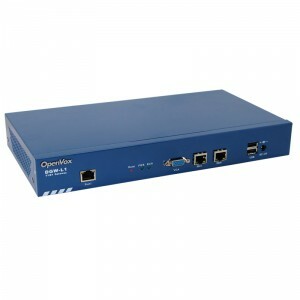 OpenVox Communication Co.,Ltd, a global leading provider of the best cost effective VoIP gateways and Asterisk® solutions, has announced today to release a low-end but full-featured T1/E1 gateway, provides the most cost-effective way to connect traditional telephone system to IP networks and integrates VoIP PBX with the PSTN seamlessly. Aim to maximize the cost savings for operators and SMBs, DGW-L1 has full functions of T1/E1 gateway with competitive price and small size. It supports R2 / SS7 / PRI protocol and be compatible with all kinds of SIP servers. Available in 1 port T1/E1, it backs up 30 concurrent calls and allows easy configuration via Web GUI. The new DGW-L1 gateway will be ready for shipping worldwide from January 15th, 2016. Please contact your sales representatives for your partner price or you can simply email me at info@voipdistri.com for any enquiries.